Will Mount Paektu Erupt Again? The Mount Paektu/Changbai dispute has the potential to destabilize an already tense region. An all too predictable discussion about the complexities of Sino-North Korean relations has raged in recent weeks, following Pyongyang’s fourth nuclear test and its subsequent missile launch. While this discussion has many merits, it has predictably missed one key issue between the two sides: Mount Paektu/Changbai. The majestic mount, a dormant volcano that rises 2744 meters above sea level and contains the pristine lake Chongji/Tianchi in its crater, lies at the center of a territorial dispute between China and the two Koreas. Recent years have witnessed numerous public controversies around the dispute. In 2014 South Korea’s media was gripped by an outburst of outrage when two K-pop stars unwittingly advertised a Chinese brand of bottled water that, according to its label, originated from “Mount Changbai.” Similarly, in 2015, the Chinese internet erupted in indignation when Chinese state media used a name for the mount resembling the Korean word Paektu, an alleged “betrayal” that some Chinese netizens compared to calling the Chinese-claimed Diaoyu islands with their Japanese name, the Senkaku Islands. Controversy has also surrounded China’s reported, but eventually unfulfilled, plans to promote Mount Paektu/Changbai as the Chinese candidate to host the 2018 Winter Olympics. Each side to the dispute has also tried to strengthen its claim to the mount in various ways. North Korea has frequently organized indoctrination tours for cadres to Mount Paektu/Changbai and even had Kim Jong-un climb the mount, an alleged feat celebrated in propaganda. China, for its part, has developed a ski resort on the mountain, has sought to have it listed as a UNESCO World Heritage Site, and has organized military exercises at its foot, likely a mechanism to pressure the DPRK. It is clear that the dispute is not only complex but also sensitive. But, why is the dispute so sensitive? One reason is Mount Paektu’s unique status in Korea’s national identity. The mount is the place where the semi-mythical founder of the first Korean state, Dangun, was conceived and born by his divine father Hwanung, who had previously descended from heaven to found a sacred city on Mount Paektu. Hence Mount Paektu/Changbai has been worshipped as a sacred mountain throughout Korean history and is proudly mentioned in the first line of South Korea’s national anthem. North Korea also celebrates the mountain. Mount Paektu/Changbai is the place where Kim Il-Sung fought as guerilla commander against Japanese forces and where Kim Jong-il was allegedly born, prompting Pyongyang to picture the mount on its coat of arms and on numerous posters. While for China the mount does not have similarly great significance, it is important. Not only has part of the mountain been within China’s inviolable borders for centuries, but the Manchus, PRC’s third-largest ethnic group and the rulers of China’s last imperial dynasty, the Qing, also worship the mountain as their ancestral birthplace. The troubled history of the dispute is the other reason for Mount Paektu’s great sensitivity. The origins of the dispute go back to 1712 when the Chinese Emperor Kangxi, from the same Manchu Qing dynasty, forced an unwilling Korea to accept an equal division of the mountain between the two sides, an event resented to this day by Korean nationalists as an example of Chinese bullying. In late nineteenth century the dispute reemerged, but was sidelined by the 1908 Gando Convention between Qing China and Japan which settled the border between Japanese-dominated Korea and China and gave up Korea’s claims on the Korean populated Gando area next to the border. Ever since, the convention has been the focus of fierce nationalist indignation in modern Korea, indignation which led the South Korean government to formally renounce it as void in 2004, opening the way for potential Korean territorial claims to China. The dispute flared up again in the 1960s, but the 1963 agreement between the PRC and North Korea, mostly prompted by China’s need to gain influence in Pyongyang in the aftermath of the Sino-Soviet split, seemed to settle it. 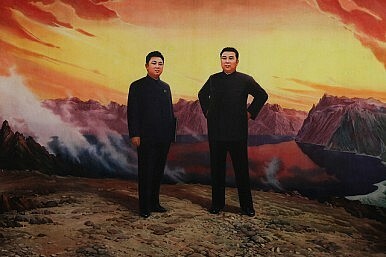 However, the Cultural Revolution and Kim Il-song’s criticism of China led Beijing to abandon the agreement and claim a large area around Mount Paektu/Changbai as compensation for its aid to the North in the Korea war, a revival of the dispute that resulted in armed clashes around its peak in 1968 and 1969. With the Cultural Revolution deescalating and a new policy of improving bilateral relations, China returned to the agreement in 1970. Since then, the dispute has been largely dormant but its history has made it a symbol of national victimhood in Korea and has cast doubts over the validity of the 1963 agreement. On this background, the Mount Paektu/Changbai dispute, although dormant at present, has the potential to seriously impact the future of relations between China and the two Koreas. There are three ways, all of them negative, in which the dispute might do this. First, in case of Korean unification the dispute might remerge, particularly if unification has provoked tensions between Seoul and Beijing. In one scenario, facing the need to clearly define the borders of the newly unified Korean state in a domestic atmosphere of reinvigorated Korean nationalism, Seoul might be forced to confront the dispute that it has ignored so long. In another scenario, if Beijing is unhappy with the newly unified Korea or with its relationship with the U.S., it might deliberately revive the dispute as a pressure tactic, just as it did in the late 1960s against North Korea. Even if unification does not lead to the reemergence of the dispute – after all, both sides would face serious challenges after a unification and would thus want good relations – Mount Paektu/Changbai would continue to lurk in the background, like an unexploded mine. Second, the Mount Paektu/Changbai dispute raises the possibility that a unified Korea might make claims to China’s Korean inhabited areas next to the border. Not far from Mount Paektu/Changbai are the Changbai Korean Autonomous County and the Yanbian Korean Autonomous Prefecture, both Korean ethnic enclaves next to the border that might become targets of Korean claims in the future. While the Korean population in the two autonomous areas does not constitute a majority, as it did in 1949, this does not guarantee the inviolability of the present borders, as the region’s demographics can easily shift if instability in the DPRK provokes massive North Korean migration. Moreover, the Yanbian Korean Autonomous Prefecture sits on land that imperial Japan, acting on behalf of Korea, recognized as Chinese in the infamous Gando Convention and which Seoul declared void in 2004, hence enabling future claims. It is also important to note that the dispute might also raise questions about issues that have never been completely resolved between China and the DPRK, such as riverine rights and the control of islands on the Tumen and Yalu rivers. Of course, some would argue that a unified Korea would never risk its relations with the superpower next door by making claims to territories inside China. However, that assumption might be too optimistic. In 2009, fifty members of South Korea’s parliament supported a resolution that claimed Chinese territories around to the border, while ten South Korea NGOs filed a petition with the International Court of Justice to the same effect. To make things worse, the Korean inhabited areas of China that a unified Korea might claim are also the subject of a semi-official history war between South Korean and Chinese academicians and journalists over the ancient Koguryo Kingdom, which both sides claim and which occupied these areas. Third, Pyongyang might decide to reactivate the dispute, however unlikely that might seem. For years North Korea has avoided raising the territorial dispute for fear of antagonizing its powerful Chinese patron, its only major trading partner and the source of ninety percent of the oil it uses. However, if the DPRK faces greater pressure from Beijing or fears abandonment, possibilities that have become more likely in recent years, it could decide to revive the dispute as a bargaining chip against the PRC. Such a strategy would have substantial added benefits. It would complicate relations between Beijing and Seoul, hence making a common position against the North less likely, and it might even gain Pyongyang some support and goodwill in the South; after all Mount Paektu/Changbai is a unifying symbol for all Koreans. All three scenarios might easily turn the non-story that the Mount Paektu/Changbai dispute is now into a major issue in Sino-Korean relations and provoke serious tensions in the future. Unfortunately, this means that the dispute is likely to have repercussions for future relations between China and the two Koreas well beyond its small size would suggest. Just as important, as the Korean peninsula and even South Korea increasingly look to be a fulcrum of Sino-American competition, the dispute might also involve the U.S. and become yet another issue in the complex and increasingly fraught relationship between Beijing and Washington. Besides the dispute, Mount Paektu/Changbai is also a powerful volcano, which according to some geologists might be slowly coming to life and threatening East Asia with a devastating eruption. Regrettably, the same might also be true of the dispute which, while dormant at present, could easily erupt and produce considerable havoc in an already tense region.